Peggy was a forward blue eyed, dark haired young girl who worked in the family tavern; she was openly flirtatiousness and preferred the company of men over women. At age fifteen, she almost eloped with Major Francis Smith Belton, an attempt that was foiled when she accidentally knocked a large flower pot off the roof while trying to escape, awakening her father. In 1816, at age 17, Peggy met John Timberlake, a 39-year-old purser in the United States Navy. Within a month they were married. Although a year earlier her father had considered her too young to elope, perhaps he realized that it was probably a good idea to have her safely married. The couple had three children together, one of whom died in infancy. Peggy’s parents gave the newlyweds a townhouse across from the boarding house, and the Timberlakes socialized with many of the politicians who stayed at Franklin House. In 1818 they befriended John Henry Eaton, a handsome and wealthy 28-year-old widower and newly elected U.S. Senator from Tennessee. Timberlake had opened a store but it was unsuccessful, and he was deeply in debt. Senator Eaton helped Timberlake petition the government to reimburse the purser for losses he had sustained while at sea, but it did not pass. Timberlake felt he had no choice but to return to the sea to support his family, and he asked Eaton to take care of Peggy and their two daughters if anything should happen to him. Peggy continued to work at her parents’ boarding house, as well as serving in the tavern. 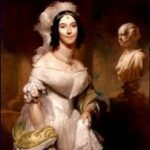 She first met Andrew Jackson in December 1823, when he traveled to Washington as the new junior senator from Tennessee and boarded at Franklin House. Jackson and Senator Eaton became very good friends. While Timberlake was at sea, Peggy was escorted about town by John Henry Eaton. Rumors began to spread that the two were lovers. This talk grew uglier and more persistent when John Timberlake died of pulmonary disease in April 1828 while serving in Europe aboard the USS Constitution. 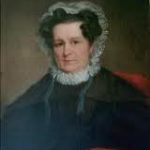 With the encouragement of President Andrew Jackson, Peggy married Senator John Eaton on January 1, 1829, which horrified respectable people in the capital, especially the women. According to contemporary social morals, a widow should be in mourning and wear black clothing for at least a year. She has never been admitted into good society, is very handsome and of not an inspiring character and violent temper. She is, it is said, irresistible and carries whatever point she sets her mind on. The General’s personal and political friends are very much disturbed about it… The ladies declare they will not go to the wedding, and if they can help it will not let their husbands go. When Jackson appointed John Eaton his Secretary of War, this sudden elevation of Mrs. Eaton into the Cabinet social circle was resented by the wives of Jackson’s other appointees, who believed that Peggy had engaged in an extramarital affair with Eaton while her husband was at sea serving his country. Second Lady Floride Calhoun, wife of Vice President John C. Calhoun, led a group of Washington wives in ostracizing Mrs. Eaton. 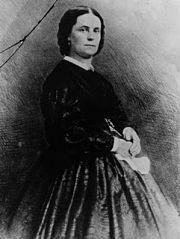 His niece Emily Donelson was serving as Jackson’s surrogate First Lady; she sided with the Calhoun faction. Widower Martin Van Buren, the only unmarried member of the Cabinet, allied himself with the Eatons. Andrew Jackson was furious at the way the Eatons were being treated. Rachel Jackson, his recently deceased wife, had also been the victim of malicious attacks during the 1828 presidential campaign. Mrs. Jackson’s first husband had filed for divorce and, believing she was a free woman, she married Jackson, only to discover two years later that the divorce had not been completed. Though she was stung by these attacks, Rachel intended to attend Jackson’s inauguration and had purchased a gown for the ball. But her physical and mental health had so deteriorated that she suffered a near fatal heart attack. 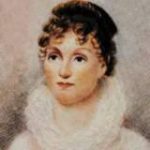 She seemed to be recovering but died suddenly on December 22, 1828 at age 61 – two months before he took office as President. Andrew Jackson was inconsolable. Perhaps Jackson had hoped to quiet the rumors by appointing Eaton as his Secretary of War, but the scandal intensified. President Jackson defended her honor, but Peggy Eaton was often her own worst enemy. She violated every rule of 19th century morals and manners. At a time when women were supposed to be demure, soft-spoken and feminine she was forward and outspoken, and seemed unwilling to change her behavior for anyone. For two years the press savaged the administration over Jackson’s support of the Eatons. The cruelest rumor was that John Timberlake had committed suicide because of his despair over the affair between his wife and Eaton. There was other gossip that Peggy was promiscuousness and that she had been pregnant by Eaton but miscarried prior to their marriage. Martin Van Buren saw that Peggy Eaton had become a liability for the Democrats and a personal burden to Jackson. The scandal even caused tension within his own family; he had sent his nephew and private secretary Andrew Jackson Donelson and his wife Emily back to Tennessee when they refused to associate with the Eatons. In April 1831 Van Buren offered to resign his cabinet position and suggested that John Eaton do the same. This would permit the president to ask the remainder of the Cabinet to relinquish their seats. Though a few resisted, later protesting their departures in print, Jackson completely reorganized his Cabinet, an event referred to as the Petticoat Affair. Elected to a second term in 1832, Jackson, eager to end the debacle that had threatened to bring down his first administration, appointed John Eaton governor of the Florida Territory. Two years later Jackson selected Eaton as U.S. Minister to Spain, and Peggy and John enjoyed life in Madrid for four years. In 1840, when now President Martin Van Buren recalled Eaton from Spain for failing to fulfill his diplomatic duties, Eaton announced his support for Van Buren’s rival, William Henry Harrison. Andrew Jackson was infuriated by Eaton’s disloyalty: “He comes out against all the political principles he ever professed and against those on which he was supported and elected senator.” The two men did not reconcile until a year before Jackson’s death in 1845. In 1840, the Eatons returned from Spain to Washington, DC where John established a law practice. Ironically, by then Peggy seemed to be accepted by Washington society, and the couple lived quietly. John Eaton died in 1856, leaving a small fortune to his wife. Peggy remained in Washington and, after her two daughters married into high society, finally received some of the respect she craved. However, it seems that Peggy Eaton was determined to make herself an easy target for rumor mongers by her scandalous behavior. Three years after the death of her second husband, she married a third time to Italian music teacher and dancing instructor, Antonio Gabriele Buchignani, on June 7, 1859. She was 59 and he was 19. For a few years the marriage seemed stable. Antonio worked at the Library of Congress during the Civil War, but after the war he demanded that they move to New York and that Peggy give him $20,000 to start a business. The business failed and Antonio threatened to leave her and go back to Europe unless she signed her entire fortune over to him, and she did it! In 1866, their seventh year of marriage, Buchignani ran off to Europe with the bulk of Peggy’s fortune as well as her seventeen-year-old granddaughter Emily Randolph, whom he married after Peggy divorced him in 1869. Peggy O’Neill Timberlake Eaton Buchignani died in poverty at Lochiel House, a home for destitute women, on November 8, 1879 at age 79. She was buried in the capital’s Oak Hill Cemetery next to John Eaton. Doubtless among the dead populating the terraces [of the cemetery] are some of her assailants [from the Jackson years] and cordially as they may have hated her, they are now her neighbors.